The weather for the 2011 show was perfect, with temps on Friday in the lower 80's and in the upper 70's Saturday and Sunday and little or no wind. A very few sprinkles on Sunday but nothing to worry about. 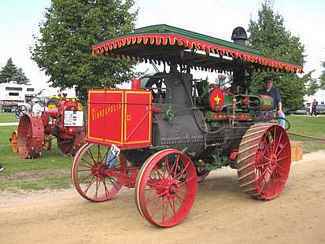 Nearly 170 tractors and trucks plus many other steam engines, threshers, plows, etc. 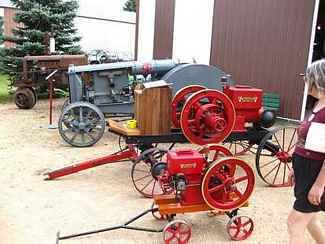 pertaining to this years feature of Twin City, Minneapolis, Minneapolis Moline, Moline Universal and Bull Tractor Co. The Feature Building was very well arranged with 2 big 35-70 Minneapolis tractors greeting visitors as they entered the building.